Edward Field has lived a life. The Academy Award winner is the recipient of a Lamont Award, a Guggenheim Fellowship and the Prix de Rome. Of course he’s still living his life and receiving the accolades including the recent W.H. Auden Award for a lifetime dedicated to poetry. 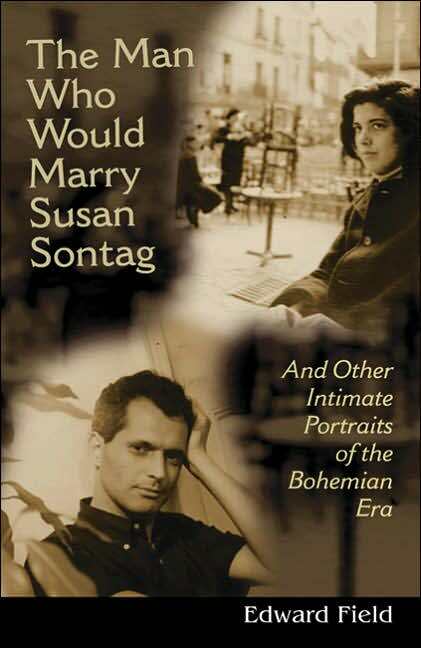 Although he is known and has been honored for his poetry, Field has done us the great favor of laying his life out in a stunning and entertaining memoir titled The Man Who Would Marry Susan Sontag. What comes alive is the story of a writer who makes a life of his work. He is brutally honest about his life’s experiences. A lot of these stories are hysterically funny and I found myself calling up friends to read particular passages about people I’d only known through their writing. The book sheds new light on the lives of well known figures like Frank O’Hara, Susan Sontag, and May Swensen. Then there’s the amazing figure who the book is titled after, Alfred Chester, who epitomized the bohemian dedication to one’s work and paid the price with his life. The passages on Chester’s eccentric genius and especially his letters from Morocco present a compelling portrait that is aching to be made into a movie. Field holds nothing back and in case you think this is just a one-sided book of gossip — Field gives himself a thorough going over. He deals with his own life’s struggles with a candor that is alarming at times. You get the feeling that he’s lived this life and doesn’t give a damn who knows what about it — he’s beyond such considerations. Field introduces us to so many important people that demand more consideration. Robert Friend, a mighty poet of heart and precision, is brought to life in this book. I found myself searching out his poetry and powerfully moved by this little known gay poet and scholar. Another forgotten poet was Dunstan Thompson, who Field credits with being the first poet to write unashamedly and publicly about his love of men. He cites Thompson for his use of the word "gay" in his work decades before it garnered general use. His work is harder to find and sadly out of print. You know you have found good writing when you are slightly upset to have reached the end of the book. I really wanted this book to continue. I wanted Field to tell me more stories. I ached to hear the sound of his voice as he recounted the tales of the people he has known and befriended. Strangely, in the days after reading his memoir and remembering this world of poets, artists, thinkers and life-livers, I was reminded of that line from the Gospel of Thomas. “The kingdom of God is before you and you see it not.” I take the "kingdom" to be a life of possibility and passion. Field has revealed the kingdom of his life’s experience and in the telling challenges us to be aware of the marvels who walk among us.